When reviewing a site from an SEO perspective, one thing I always include on my checklist is internal linking. We can usually tell how well a site is optimized by looking over the linking strategy. Implementing a linking strategy is a key step in optimizing your site, so it should be a part of your overall strategy. We often assume just because we create a page and publish it that Google will find, index and rank that page. It’s the same line of thought as constructing a baseball diamond in the middle of a corn field. The “build it and they will come” mentality may work if the ghost of Shoeless Joe Jackson tells people to visit the baseball diamond (Field of Dreams reference), but in the online world this is not the case. Think of internal links as a network of road signs that will tell Google where to go and what to look at. Driving down the interstate, you look for signs to direct you to your exit, and so does Google. Internal links direct the search spiders down the road of your website. Without these links, the spiders may just ‘drive on by’ the exit and miss your page. Eventually, it may be indexed but to help get the job done faster you need internal links. Putting links on pages that are in the main navigation means that those pages are just 1-2 clicks away. A page that is 1-2 clicks away from the homepage can carry some of the link equity through from the homepage. It also helps bring pages that are deeper in the site up on the IA ladder. However, filling the main navigation with links to every page is a bad idea, so don’t do that. Read more about User Friendly Navigations. The homepage is typically the most visited page on a site. This means a large portion of traffic is flowing through here. Utilize the homepage to gain exposure to high-value pages. This will do two things: First it will tell your visitors what is important and direct them to pages that are going to make you money. Secondly it will send a signal to Google and other search engines that these are important pages for them to crawl, index and rank. Links on a homepage are as important as the design of the homepage. This is my favorite tactic for starters. Capitalize on popular pages within your site. Find out which pages have the most external links (and presumably the most authority), pull this list together, and start dropping links to these pages throughout the site. This is a great way to build and share the link equity. External links are a completely different discussion but work in a similar manner. There are many different ways of gaining external links, just watch out for Google Penguins when doing so. A breadcrumb is a perfect place to capitalize on anchor text using targeted terms. Breadcrumbs also allows for several pages to link directly to each other. They can have 3 or more levels of links which allow for link equity to flow through each page. We always recommend using a breadcrumb whenever possible. They are part of our Best Practice for local SEO and rankings. Develop a hub of content that is similar or related. This hub will allow for curation of content that can be linked together. 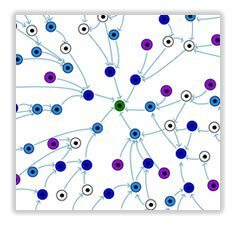 When content that is related is linked together, it provides context for the users and will help link equity flow between the pages. It also allows pages to be linked together that might never be connected otherwise. Blogs, related post plugins, categories, and pagination are all ways to achieve this. These are just a few ways of executing good internal linking. Remember, internal linking is the thread that connects different pages of your site no matter how they are separated. 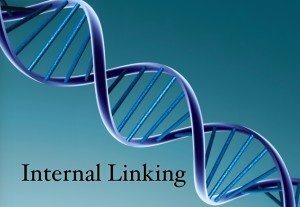 With proper implementation, a good internal linking plan can be another notch in your SEO belt and provide one more signal to Google that you are ready to be found. Sanctuary Marketing Group in North Canton can help with developing a strong internal linking strategy. Give us a call @ 330-266-1188 or contact us here to talk with our strategist. 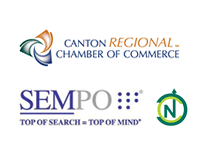 We specialize in helping North Canton, Ohio businesses grow through effective digital marketing.